The ancient Medieval Belgian city of Bruges will soon have a beer pipeline underneath its cobblestone streets, to spare the city’s streets from the dozens of beer trucks that rumble by hour after hour. Brewer De Halve Maan (“The Crescent”) spokesperson Xavier Vanneste told the media, via Fox News, that the Belgian Beer Pipeline is being built out of concern for the image of the city. According to Tripadvisor, the northern Belgian city of Bruges “looks like a backdrop for a fairy tale,” with its cobblestone streets, Medieval architecture, and famed canals, that hosts some 100,000 tourists per year. One of the stops tourists make is the 5-century old De Halve Maan brewery, which is building the pipeline. Keeping the brewery and the bottling plant connected has been one of the town’s top priorities, according to MSN. Even though the beer has been bottled off-site since 2010, keeping production going at the 500-year-old brewery is a matter of pride for Bruges, according to town spokesperson Franky Demon. The Belgian Beer Pipeline will actually be four pipelines, which will be rotated in and out for cleaning after each batch of beer, and will transport 1,500 gallons of beer – roughly the amount of beer Andre the Giant could consume in one evening, according to this Inquisitr report – per hour from the brewery to a bottling plant a few miles away, sparing the ancient city from the noise, rumble and pollution of tanker trucks. By now you may be thinking that enterprising Belgians with wrenches and some pluck will be able to tap into the pipeline and route some foamy suds directly to their sinks. Unfortunately, beer transport technology is beyond that, according to Consumerist. There is only one other working beer pipeline in the world, according to Food Beast, supplying beer directly to the taps in and around a soccer stadium in Gelsenkirchen, Germany. 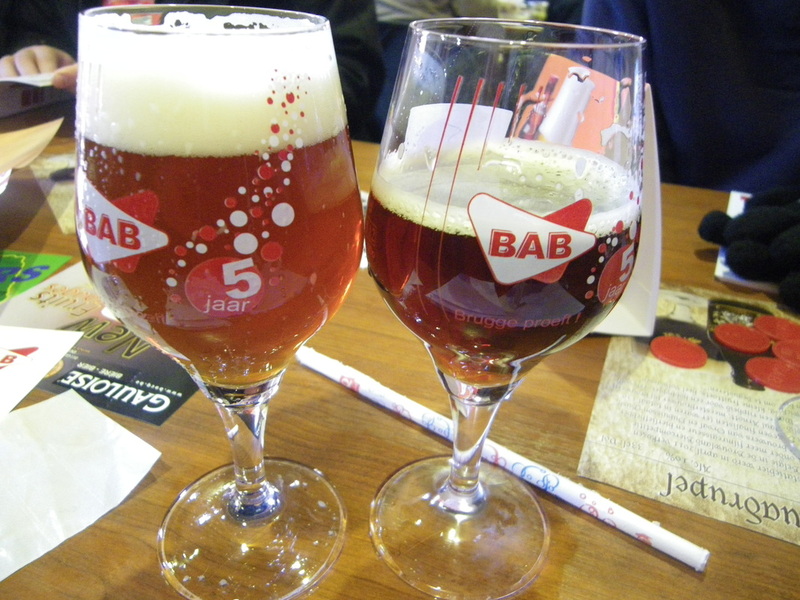 If you’re interested in drinking some beer that has flown through the Belgian Beer Pipeline, you’ll likely have to order it directly from the brewery’s website, as none of their beer appears to be imported outside of northern Europe.